BlackGirlTravel.com - South Africa Revisited - What Real Housewives of Atlanta could have been! What Real Housewives of Atlanta could have been! Hello FlyGirls around the world! This is your travel concierge speaking. I am here to recount and share the excitement of my inaugural journey to South Africa with 41 amazing Black women. If I had to use three words that capture the overall experience, they would be exhilarating, magical and inspiring. Now, some might say, "Why South Africa?" Well, other than the obvious, to reconnect my sprit with the continent of my ancestors. There is more to Africa than just the stereotypical ideas and perceptions held by most Americans. Here are some interesting facts: South Africa has a population of 45 million people with 11 official languages; Has a large multi-ethnic presence with diversity of cultures; Rich biodiversity (i.e. deserts, mountains, grasslands, and subtropical forests). As you can see, South Africa has plenty to offer as an ideal girlfriend get-away. Knowing that parts of Africa can be more rural and rugged than others, (which may be a bit intimidating to those new to international travel) I wanted provide my travelers with a happy medium between exploring "the good, the bad and the ugly" without going into complete culture shock. 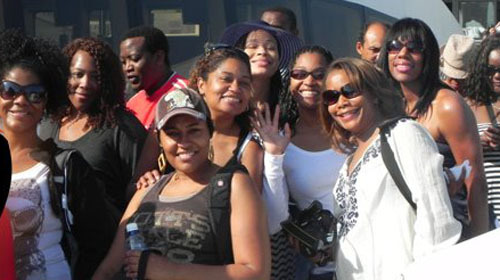 Ironically (or maybe not), the "Real Housewives of Atlanta" also had plans for a trip the motherland. What else was a bored housewife to do? Oh, I know! Go to South Africa! I was thrilled to know that other African-American women were venturing to Africa; which would be a journey of a lifetime, right?!!! Wrong! The first episode of their South Africa trip aired a few days after our return. What I viewed on the first segment of the 3-part televised event was horrifying, to say the least! Their trip was organized by Phaedra Parks and included an uninvited guest by the name of Marlow Hampton. "A recipe for disaster" some might say! After my incredible experience with 41 women, I thought surely a group of only 6 could make it through ten days without any major drama. WAS I EVER MISTAKEN! The focus for their trip was never formally established, other than advertised as it was a trip of a lifetime. Some of the housewives individually expressed their interest in learning some things, but not everyone had that same goal in mind. Instead of taking advantage of an amazing opportunity to immerse themselves in the beauty and culture; (you may quote me on this when I say) they "put their REAL ugly behavior on the road." International travel can be can be life changing only if one is truly open to change. The only thing that has changed so far for the Housewives of Atlanta is location. The air of entitlement displayed on the RHOA blinded most of the women from seeing the great opportunity they had to explore South Africa during their first day in Cape Town. The attention given to socio-economic status and etiquette did not deter them from getting into a pointless argument. The housewives flaunted their wealth and privilege instead of taking a different stance by adapting to their environment in an attempt to relate and learn from South Africans. Not only that, the pretentious attitudes fed into their lack of consideration to local customs and traditions. In essence, the Real Housewives of Atlanta never left Atlanta. While the trivial squabbles and elitist attitudes serve as great entertainment, the value is lost and the viewer is left without enlightenment or inspiration. International travel for Black women can be over and beyond what is being televised on shows like Basketball Wives and Real Housewives of Atlanta. It can be a positive experience filled with wonderment and self-discovery. It can be a time to learn about new cultures which teaching others in the world that we are more than what is seen internationally on BET and MTV. These possibilities (among others) are part of the mission behind BlackGirlTravel.com, which is a shared spirit of reverence, excitement and unity; providing an environment for fostering positive sisterhood; and serving as ambassadors by exhibiting cultural appropriateness and sensitivity during international travel.When you have the right group of women traveling together it can be a magical and truly enriching trip; full of bonding and learning. 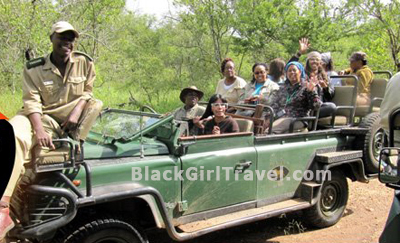 So much for the fluffy RHOA travel, let's dive right on into the meat and potatoes of the BlackGirlTravl.com tour of South Africa! What better way than to start our Africa trip than departing on Dr. Martin Luther King's actual birthday and arriving on the MLK holiday? The reason behind this departure date was to commemorate two of civil rights' greatest visionaries. Thanks to Dr. King and Nelson Mandela who fought for equality, we as African-Americans women now have the opportunity to travel and enjoy our personal liberty. Our first stop was Johannesburg, a city known for its great wealth and abject poverty. The day started with an African buffet and a surprise welcome by the hotel staff. The evening was spent having a lovely MLK Day dinner and mixer with each person of the group sharing how Dr. King's efforts impacted their lives. Day two consisted of a visit to the Apartheid Museum and Soweto Township. Soweto was the epicenter of riots and uprisings as the nation's black majority fought for an end to brutal government rule under Apartheid. Soweto was the place where the 1976 student uprising began which spread to every corner of the country and inspired the movie Sarafina! Like Johannesburg, Soweto is a town with two faces. Well-to-do streets, lined with sturdy, razor-wire topped walls and fences are no more than a few feet from dilapidated, improvised corrugated iron homes. The poverty in some parts of Soweto was beyond my expectations and anything I have seen in the States. Unemployment in the township is estimated at 60%. Even in unbelievable poverty, the faces of those living in Soweto are not filled with sadness and gloom, as the people are vibrant and determined. All around us were Sowetans making the best of what they have, as my grandmother would say "making a dollar out of fifty cents"! 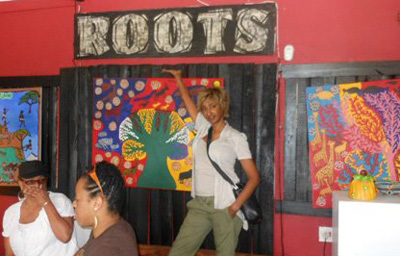 We were invited in as family at Roots, a local restaurant off the regular tourist path. During lunch the room was filled with laughter and live music and we were lost in the moment. Upon departure from Roots, we are reminded by our local guide of the safety considerations due to the high crime rate in Johannesburg and its townships. The areas are greatly impoverished; and understandably, desperate circumstances can cause even good people to do questionable things to make ends meet or survive to see another day. It was a great opportunity and truly inspiring to be able to see Soweto and know that great things and people can arise from hardship and challenging realities. Day three and four got a little WILD on Safari! Imagine, 41 city girls accustomed to the metropolitan hustle and bustle, now walking without shoes in the mud! The safari experience allowed the FlyGirls to encounter all the alarming, yet amazing sights and sounds of the rural parts of South Africa such as; heavy rainfall, flying ants, muddy villages, bush walks on tiny trails, and the termite treatment in my tent that I mistook for blood. Silly me! Nevertheless, the stay at the camp, proved to be more authentic and different from that of the RHOA. I believe in keeping it real for my FlyGirls, so their experiences are unique and an unforgettable. Nothing could have prepared us for our jungle adventure that started with torrential rainfall during our transfer from Johannesburg to the Safari camp. We were fortunate enough to have planned refuge in the form of luxury tents in the middle of dense jungle (luxury tent meaning private bathroom and shower). The heavy rainfall during our transfer caused flooding and evacuations from Kruger National Park. Many locals described it as a “Noah’s Ark experience, in the cradle of civilization”. Luckily, we were not directly affected because of my last minute decision to change our lodging to a private reserve. So this served as our own modern day ark; protecting us from a modern day flooding of the earth. Who knew?! On safari, the bugs, animals, varied climate and vast landscapes all make for a rich ecosystem and biodiversity ever present in South Africa. Little did we know that we would run into the McDonald's franchise in the middle of the bush. 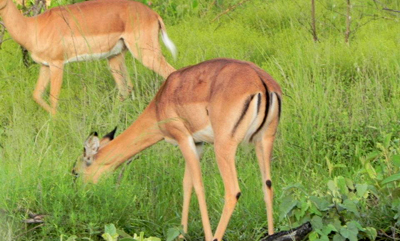 According to the locals, Impalas are the "McDonald's of the jungle" because of the black markings on their rear ends resemble the McDonalds' golden arches and because they are "fast" (up to 56 mph) food that all the other animals will eat. On our safari, we felt safe because of our knowledgeable rangers and trackers who looked for and pointed out the animals, plants and even the tiniest bugs for us to capture in photographs. While the animals on these reserves were accustomed to the shape of tourist-filled jeeps (seen as large and inedible) that provide safety within the wild yet fragile ecosystem. Everything from fleas picked off the backs of giraffes by birds to the studious beetles building homes in elephant dung, illustrate the importance of maintaining the interconnected balance between each plant and animal species. When Beyonce wrote the song Run The World (Girls), she must have been referring to the Rain Queen, ruler of indigenous people know as the Balobedu. Only I could find a village in the middle of the South African jungle where ONLY women can be tribal leaders and the current queen is just SIX years old! No touristy culture village for MY girls! I want them to experience the real deal and that they did! 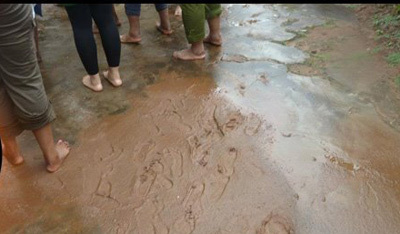 The land of the Balobedu is considered sacred grounds where no shoes are allowed. Can you imagine telling 41 city girls they must remove their shoes and walk in mud? Not everyone was happy about that, but most of the group honored the request and learned how the Balobedu live... even on rainy days. What an experience! We were told by the village orator that no other tourists had ever visited the Balobedu before. Most tour groups stop at the "fake cultural villages" between Johannesburg and the game reserves. Our group was the first to actually visit a tribe located beyond the reserves, making it a more authentic visit. We brought gifts for the adults and sweets for the children. Everything was appreciated, even our boxed breakfast leftovers that were planned for the trash. The experience made me think about how much food we throw away and take for granted here in States. The last and final leg of our trip took place in the historical Cape Town. Here we visited Robben Island where Nelson Mandela was imprisoned during Apartheid. 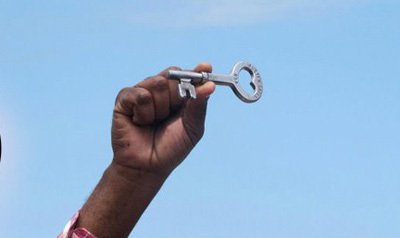 The tour guides at Robben Island are former political prisoners, so they could provide first-hand, uncensored accounts of the history there and their experiences under Apartheid. Our guide told stories of crude treatment and forced labor designed to break the spirits of the detainees. Some memories were too painful for him to share. When asked what message he would like us to take back to our brothers and sisters in America, he paused and with great passion stated: "Freedom is a process, not an event." Even now, I get chills when thinking about that moment. Those words rang so loudly for us because it resonated with our personal stories of pain and triumph in America. Freedom is not something that comes easy, nor does it come overnight. It takes time, as many things of value in life do. His words of wisdom were in sharp contrast to our culture of instant gratification and expected quick fixes in the United States. The understanding comes from looking at freedom as a state of mind or perception of life rather than freedom being acquired through material possessions or social status (i.e. RHOA). After Robbin Island we visited the District 6 museum. District 6 was once a place of racial harmony for Cape Town's poor, before Apartheid. Under Apartheid thousands of people were classified as "Coloured" and forced to leave the District, a strong equivalent to Native Americans being displaced onto reservations. In turn, it was declared (1966) a white only area; which was similar to the segregation of Blacks under the Jim Crow Laws in the United States. Martin Luther King and Nelson Mandela were two ordinary men who stood against poverty and inequality. They led movements to achieve multi-racial democracy, equality and reconciliation for underprivileged minority in their respective nations. By communicating with black South Africans, it allowed us to make the connection between their history and demystify our previously held perceptions of their country. I was personally touched by a brief but very private meeting that the FlyGirls and I had with a few hotel workers. I specifically requested that managers and supervisors not be present, so that the workers could feel free to share their personal stories without apprehension. During that discussion, we discovered that some Africans view African-Americans as the "lucky ones that got out" (sad, but true) because of our access to economic, social and perceived political privileges in America! I personally enjoyed all our dialogue and interaction with workers and local villagers throughout the tour, because we learned a lot from them. 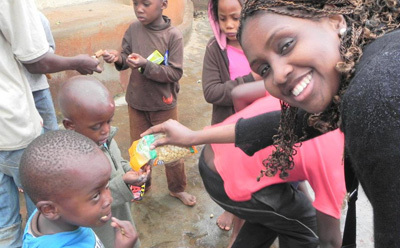 As a group, we were particularly moved by the Africans deep gratitude in receiving small gifts or for being allowed the opportunity to be heard. It was brought to my attention that many workers were often times awe-struck and empowered by watching my authoritative interactions with white managers/supervisors. You should have seen the tiny smiles of pride when they witnessed "me" making assertive requests that were honored by their superiors. 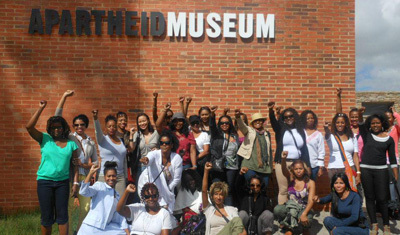 The esteem from the staff humbled me greatly and made me think more critically about the importance of how African-American women are portrayed when traveling to South African. 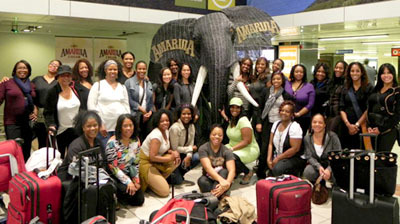 In closing, my recount of BlackGirlTravel.com's inaugural South African trip, was nothing short of extraordinary. I feel blessed to have traveled with 41 incredible women as we truly encountered "freedom" by taking a journey to the Motherland, bonding with fellow sisters, unleashing pain, unlearning ignorance; and learning untold African history. Sometimes you got to walk through the mud, shoeless, to get to the promise land. It's the process that helps one appreciate freedom and enjoy simple pleasure of life in the midst of the struggle. Thanks ladies for another amazing tour, and here's to South Africa 2013! 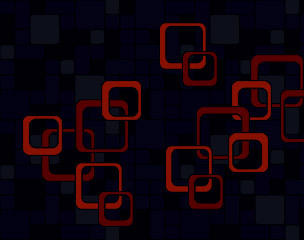 ©Copyright 2012 BlackGirlTravel.com, Inc. All rights reserved. fun loving friends and family! 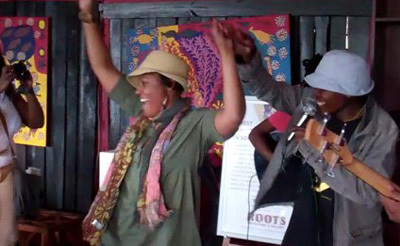 View photos and videos of our South Africa tour!